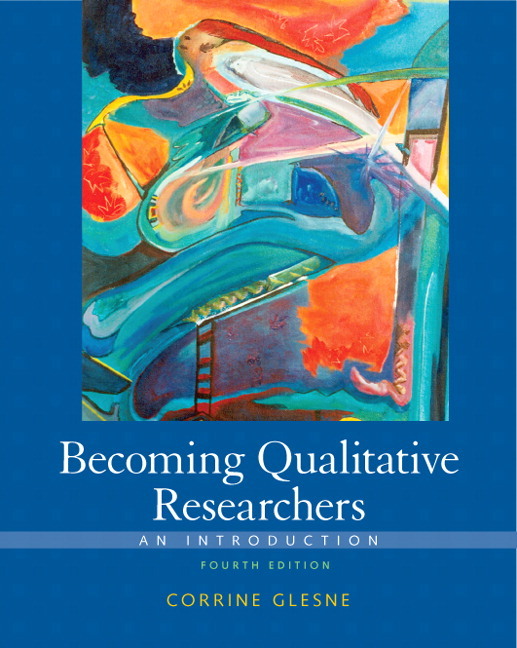 Beginning researchers get an overview of qualitative research through a concise look at the practice of conducting research and the theory and debates that keep qualitative inquiry vibrant. 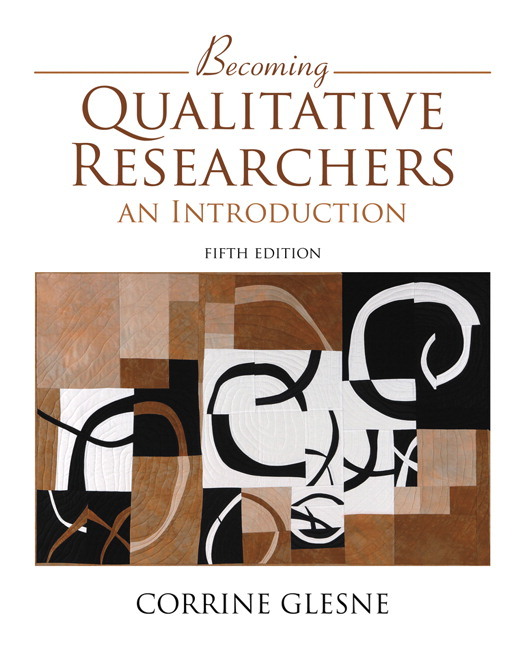 Ideal for introducing the novice researcher to the theory and practice of qualitative research, this text opens students to the diverse possibilities within this inquiry approach, while helping them understand how to design and implement specific research methods. The author’s accessible writing style, the wealth of examples, and the numerous exercises provide opportunities for practicing and refining the skills of becoming a qualitative researcher. The new edition focuses on the development of research proposals (Ch. 2); the history and concerns of institutional review boards (IRBs) and issues qualitative researchers sometimes confront when submitting proposals (Ch. 6); greater information and examples on coding and thematic analysis, while also introducing other approaches to data analysis (Ch. 7); and arts based research through a chapter that encourages consideration of creative ways to approach and represent inquiry (Ch. 9). Chapter 10 looks at sharing research results through participation at conferences and in publications. Ideal for the beginning researcher, the book is clear, accessible, encouraging, full of examples, and provides the perfect blend of theory and practice. The voices and experiences of students engage readers in quandaries and impediments encountered in conducting qualitative inquiry. Readers learn by working through the process of doing qualitative inquiry: research design, use of observations and documents, interviewing techniques, data analysis, and research representation. An abundance of examples throughout draws from the work of students, professors, and the author to encourage readers to apply what they have learned to real research experiences through the use of end-of-chapter questions. Students see how to design a research proposal, including examples from student dissertations. NEW! A redesigned Chapter 2 guides novice researchers more carefully through the steps of creating a research proposal. Students have opportunities for more in-depth examination of topics in the Recommended Readings sections at the end of each chapter and throughout the book, which introduce debates and controversies in qualitative inquiry, as well as to other texts, studies, and authors. NEW! Addressing the concerns of the Institutional Review Board (IRB) is easier for students through the redesign of Chapter 6, which explains why the boards were formed and what their expected roles are, as well as some of the problems often associated with qualitative inquiry and IRB expectations. NEW! The sometimes-mysterious subject of data analysis is made clearer through discussion, examples, and instruction in thematic analysis and coding presented in Chapter 7. NEW! Students are encouraged and get help for approaching their research creatively through Chapter 9’s focus on arts-based research, a topic not found in other introductory texts. Included are discussions and examples of approaches to arts-based research. NEW! Sharing work with peers is made easier through Chapter 10’s section on presenting at conferences and an expanded discussion of publishing research work. NEW! Students see how to use various data collection approaches more effectively in qualitative inquiry. NEW! How to use field notes effectively is clarified in additional discussion and examples in Chapter 3. NEW! How to create good interview questions is covered in expanded discussion and examples in Chapter 4. NEW! Concepts are further illustrated through new figures, tables, and visual imagery provided throughout. Corrine Glesne is a qualitative research methodologist and educational anthropologist, Corrine Glesne has conducted ethnographic research in the United States and abroad. Her text Becoming Qualitative Researchers has been translated into several languages, including Turkish and Chinese. In 2014, she was asked to give the keynote at the Eurasian Educational Research Congress, held in Istanbul. Corrine was a professor at the University of Vermont for seventeen years. Later, as a traveling professor with an international educational program, she taught and accompanied undergraduates to India, the Philippines, Mexico, New Zealand, and England. In 2011, she embarked on a year-long, multi-site qualitative study of the “exemplary” academic art museum for the Samuel H. Kress Foundation, resulting in her book The Exemplary Museum: Art and Academia (2013, MuseumsEtc). Corrine did her doctoral work at the University of Illinois at Urbana/Champaign. Her home is in Asheville, North Carolina.